A continuous curled chip formation with a high thermal load is a critical challenge during conventional drilling process of Ti6Al4V. In addition, adverse side effects will take place on the drilled hole quality, as well as the drill tool performance, which is not acceptable in the aerospace industry. Chip segmentation using low-frequency vibration-assisted drilling (LF-VAD) is a promising technology aimed at reducing the difficulties associated with conventional drilling. Compressive residual stresses, lower cutting zone temperature, higher hole size accuracy, and smoother surface finish are of the main advantages that could be achieved with the interrupted cutting technique. The primary objective of this paper is to investigate the effect of LF-VAD machining parameters on the Ti6Al4V residual stresses, microstructure, and surface integrity, for a wide range of modulation amplitude, feed, and cutting speed, for a new frequency range for the first time. The effect of LF-VAD on the chip morphology and subsurface examination of microstructure, surface, and depth profile of residual stress are examined. The experimental results showed that LF-VAD has a significant influence on the induced residual stress. A 35.8% reduction in the cutting temperature has been observed at the exit surface. This method has improved the residual stress to compressive which has a significant impact on the part fatigue life. 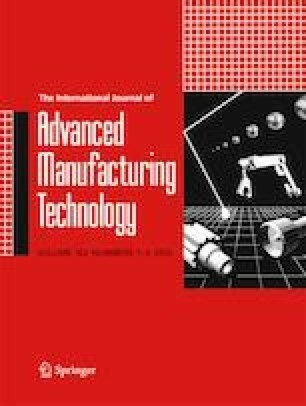 This study was performed using the facilities of the Canadian National Research Council (CNRC), Aerospace Manufacturing Group. The use of their facilities, equipment, and the technical support is greatly appreciated. The authors gratefully thank Mr. M. Balbaa for his assistance during the SEM examination.